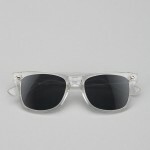 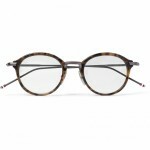 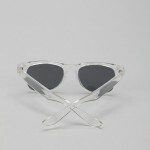 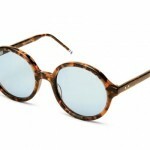 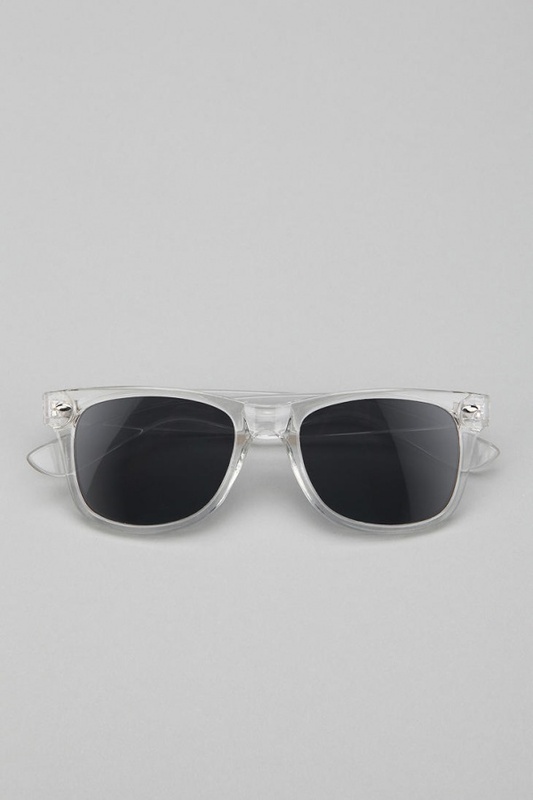 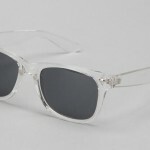 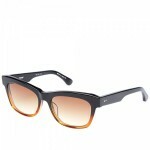 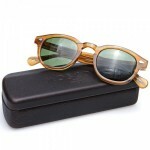 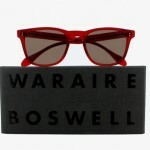 A unique twist on a familiar favorite, these clear wayfarer sunglasses are sure to turn heads. 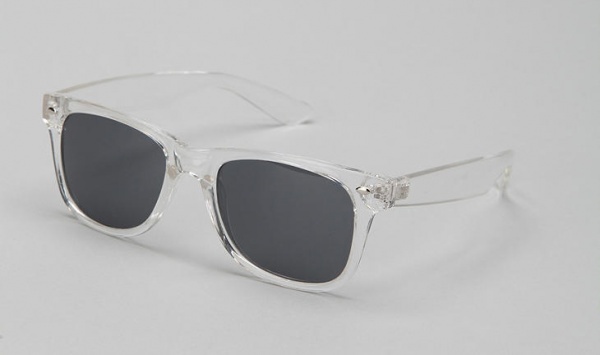 These clear wayfarers feature transparent acetate for the frames, and are paired with traditional black lenses, crafting a daring design that still offers maximum UV protection. Available online now.